Taco Mama is a Birmingham favorite for Mexican food. With six current locations throughout Alabama and one more coming to Downtown Birmingham this summer, this restaurant has it’s origins in the neighborhood of Crestline. It serves traditional Mexican dishes such as tacos and burritos as well some delicious margaritas all made from local ingredients. But it’s more fun to hear about it from its owner, Will Haver. What gave you the idea for creating a taco restaurant and bar? Though we owned Otey’s Tavern in Crestline Village, I needed to find a way to provide more income for my young family. We traveled to many cities that are food-driven cities that gave us inspiration for Taco Mama, along with my love for food, music and design. I wanted it to be close in the village, and I love Mexican food, margaritas and making people happy. It’s what we do. What d oes Taco Mama hope to accomplish at its new Birmingham location when it opens? Due to The Waites Developmentsconstruction, the opening will more than likely will be late July. We are very excited to be part of the revitalization of Downtown Birmingham. This is my hometown and amazing things are happening. It’s a lot of fun to watch. We are excited to have the opportunity to get our delicious food in the mouths of people who have yet to experience Taco Mama. With UAB and many other great businesses, there is a lot of people that commute from other areas and cities in to work that don’t know what we are all about. We welcome everyone to come in and give us a try in The Waites Development on 7th Avenue South when we open. With so many people moving to and living in Downtown Birmingham, we are excited for the opportunity to serve those people who have a love for Mexican food like we do. We are looking forward to all the catering opportunities as well. We love to cater and try to make it easy as possible for the person ordering. There are options for everyone and every event. Thank goodness people love a catered taco bar or nacho bar from Taco Mama. Why is it important for Taco Mama to use fresh and local ingredients? You can see and taste the difference when using fresh ingredients. It’s one of the things that sets us apart and makes us unique. You can see this not only in our food, but also in our hand crafted margaritas. 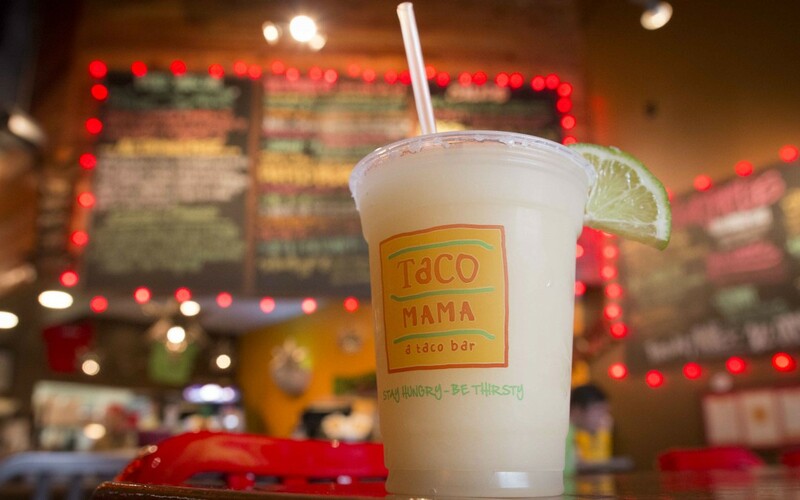 What do you think contributed to Taco Mama receiving so many awards for its food and drinks? Many things. It starts with fresh, raw ingredients, our creative and unique menu and our talented team who have a passion for delivering a great experience to our guests every day. We love to see new guests that come in, feel what we do and become friends. If someone was coming to Taco Mama for the first time, what would you recommend? If there is a line, don’t worry. The line moves pretty fast, and your order comes out quick. Start a tab and grab a hand-shaken margarita. We will serve you drinks at your table, so you don’t have to jump back in line to experience another delicious margarita. All the margaritas are great, but my two personal favorites are the Jalapeño or the Watermelon. Order the sampler (queso or Guac and Salsa with a pile of freshly-fried, salted tortilla chips). Build your own tacos, burrito, bowls, quesadilla or nachos. Though I love all of them, definitely try the Barbacoa. It’s our braised beef that we slow roast for eight hours. If you don’t want to build your own, my two favorites are the cheesy beef or the Alabama Redneck Tacos. Relax and enjoy your food or margarita in our fun and funky atmosphere. Each individual song is handpicked. High five our team and introduce yourself. We love making friends and we love high fives. It’s all about the people.